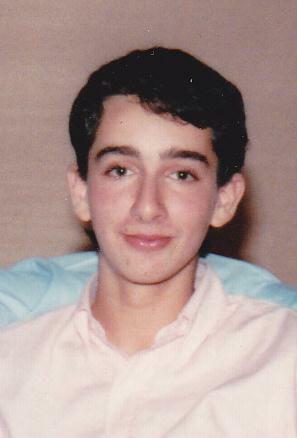 This is me at 14 years old. I was called Billy back then. Billy was a sad boy. It was right around this time that I began to understand that my attraction was toward males and not females. I didn’t understand much about it. I had no idea that there were millions of people experiencing the same feelings, and that some of them were happy, well-adjusted folks living good lives. All I knew was that the feelings I had made me one of those people. There were names for people like me. So consequently, I began to hate myself. It didn’t help that for the first time in my life, I felt separated from my family. I had a secret, something that made me different than them. And my self-hatred became a desire to be “elsewhere,” somewhere where there was less pain. And when I realized I couldn’t really go elsewhere, it became, at times, lethal. In THE PORCUPINE OF TRUTH, Carson Smith has some of the same feelings, though his is not about being gay. He thinks about it as he sits with his friend Aisha in a hotel parking lot in Salt Lake City. Someone’s parked a U-Haul truck that takes up two spaces. Whose truck is that? What does their life feel like? Where are they running off to? I think of sitting on my radiator at home, and all the times in my life I’ve felt like taking off. I want to believe these people are going someplace better, someplace warmer, maybe. Happier. I have to believe that. Because if I don’t believe that, maybe life isn’t worth living. The truth is that I was severely depressed as a teenager. I cannot express just how many times I felt like I literally couldn’t go another day. That sounds dramatic, but it’s true. Suicide felt like an option so often that at a certain point the idea was no longer shocking. I made it, though. I made it to adulthood, and I’m so glad I did, because my life has been full of surprises and gifts and joy, among other things, and I’d never have found out any of that had I ended things. My teen experience, along with the fact that for all of the advances our society has made, suicide remains a far bigger threat to LGBTQ teens than those who aren’t LGBTQ, has made me take leave of my senses. In September, I am embarking upon a cross-country journey in the hopes of helping teens understand just how important it is during these hard years to stay alive. As an “champion” for The Trevor Project, I will be stopping at schools and churches and community centers across the country to talk to teens about the amazing services offered by The Trevor Project, and about my own struggle with depression and thoughts of suicide. My goal: to help kids make it through the hard years by connecting with them and giving them a little extra dose of hope. I’m focusing on areas where kids are most in need: the midwest and the south. I already have about 10 stops planned, and I am looking to add another 10 or 20. If you are a person who works with teens as part of a GSA or a community group, and you’d like me to make a stop in your town or city as an champion for The Trevor Project, please email me at bkonigsberg@gmail.com and let me know where you are, and what kind of group you have. These visits are 100% free. This trip will also be a fundraiser for The Trevor Project. This summer, or as soon as I have a finalized schedule, I will be raising funds online, asking people to pledge their support for my trip by giving to The Trevor Project. Every penny I raise for TTP will go to them. They have long been my charity of choice, and I’m so glad if something I do can help them with their outstanding services for at-risk youth. So that’s what I’m doing in September. More information as it becomes available right here at billkonigsberg.com.